How one woman turned her life upside down to help those who needed it most - half a world away. Every orphan comes with a story. Every journalist has a story that stays with them. And everyone has the power to make a difference. 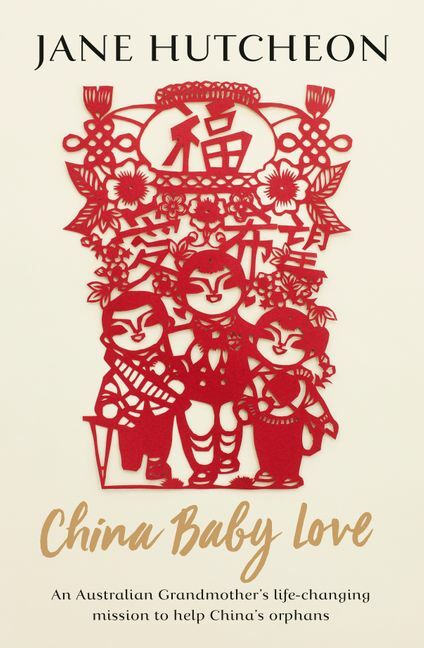 From rural Queensland to rural China, China Baby Love is the story of moving mountains, one shovel at a time. Former foreign correspondent and host of ABC TV's ‘One Plus One', Jane Hutcheon introduces us to Linda Shum, a not-so-ordinary grandmother and widow from Gympie whose compassion for China's forgotten children inspired her to create an unlikely empire. The story of COAT (Chinese Orphans Assistance Team) and Linda's quest to help orphans, many with multiple disabilities, reveals the hidden human aftermath of the One-Child Policy. A tentative visit to an orphanage in a small Chinese city turned into many over a period of twenty years. Linda's curiosity transformed into sheer determination to battle superstition, bureaucracy and a constant lack of funds, to found foster homes and a special needs school that has transformed hundreds of lives, including her own. What Jane intended as a five-minute ‘human interest' segment in a news broadcast inspired an unexpected friendship and the writing of a book that would take Jane back to China. Through the story of Linda Shum's life and work, Jane gets to the heart of some painful truths behind modern Chinese families living in a one-party state. Jane Hutcheon began her career in radio and television in Hong Kong, where she was born. She has witnessed ground-breaking news unfolding over thirty years as a broadcast journalist. Jane has served as the ABC-TV Correspondent in China, the Middle-East and Europe. She's interviewed world leaders, CEOs, mavericks, freedom-fighters and justice-seekers, reported on 9/11, the Iraq War, London Bombings and Hurricane Katrina. Jane published her first book From Rice to Riches in 2003, documenting her family connections and correspondent days in China. She wrote and directed the 2013 ABC News documentary From Mao to Now. Jane's people-centred approach to journalism is at the core of her weekly ABC-TV show One Plus One where she conducts face-to-face conversations with celebrities and people from all walks of life.